It is said that hardship often brings out the best in the human character, yet the tragic situation at Al-Aqsa Mosque has failed to stir the moral fibers of the religious establishments in Egypt and Saudi Arabia. Their cold indifference to the plight of Islam’s third holiest site is unworthy of institutions that profess to be the preeminent leaders of Muslims around the world. Just as the Organisation of Islamic Cooperation, the Arab League and the Gulf Cooperation Council have stayed silent over the blockade of Qatar, the religious institutions in Makkah, Madinah and Cairo have gone absent without leave despite the dangerous and ever-worsening situation at the Noble Sanctuary in occupied Jerusalem. Historically, these institutions have always worked in concert with their political leaders. Seldom have they spoken out without the consent of their political masters who, in turn, never act without the approval of the United States. Washington’s support, they believe, is essential not only for their security but their very survival. This, however, is only half of the explanation for their disturbing silence on events in Jerusalem. The other half stems from the fact that both countries are now spearheading a regional drive for full normalization of relations with Israel. Their belief and reasoning is that friendship with Israel is the best guarantee of US support for themselves. As the Americans often say, though, “there is no such thing as a free lunch.” Everything comes with a price to pay, and the US list of conditions seems to be endless. Saudi Arabia has been long seen in the West as the main exporter and sponsor of Salafism around the globe. Indeed, the government in Riyadh is currently embroiled in a legal battle to avoid paying compensation to the victims of the 9/11 attacks in New York under the Justice Against Sponsors of Terrorism Act (JASTA). Against this background, the Riyadh summit of Muslim countries in May provided Saudi Arabia with what the Americans viewed as a final opportunity to chart a new direction of travel. That Donald Trump chose Saudi Arabia as the first country to visit as President emphasized the importance he attached to reining-in the Kingdom. The two countries signed a joint declaration for the creation of a special commission to coordinate efforts to combat extremism. What’s more, they inaugurated a Global Center for Combating Extremist Ideology. One of the missions of the center is to carry out a thorough revision of how Islam is taught and propagated. New religious text books will, therefore, be written in collaboration with the United States, and those already in use will be recalled wherever possible. Though not represented officially at the summit, Israel emerged as its real beneficiary. 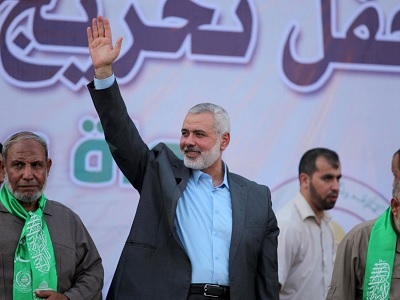 To its delight and satisfaction the Zionist state saw the US president stand up in an Arab capital and link the Palestinian Islamic Resistance Movement — Hamas — with ISIS and Al-Qaeda; it was an outrageous connection to make. This was no ill-considered, off-the-cuff rhetoric by Trump. Clearly, the purpose was to delegitimize and isolate any resistance to Israel’s brutal military occupation of Palestine. Having jumped onto the American bandwagon to counter extremism and terrorism, it is thus inconceivable that the Saudi Arabian leaders and their Egyptian hangers-on will ever be in a position to offer any meaningful opposition to Israel’s daily outrages in occupied Jerusalem and Al Aqsa Mosque. Under the guise of countering “extremism”, “incitement to hatred” and “terror”, Saudi Arabia and Egypt have accelerated efforts to close the space in which the entirely legitimate resistance to Israel’s occupation can function. 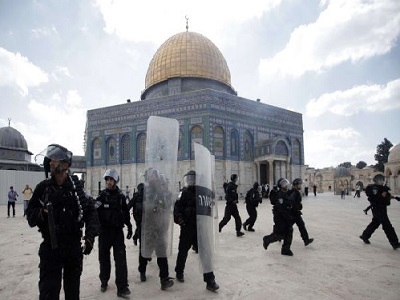 Whether through the closure of borders, detention of activists or the prohibition of websites, the intent and impact have been the same; they have created the conditions favorable for Israel to pursue its objective of Judaising Jerusalem and Al-Aqsa Mosque with minimal opposition. Having endorsed the US view that resistance to occupation is “terrorism” — disregarding the fact that international laws and conventions say otherwise — nothing else that the Saudi and Egyptian governments do will ever be a surprise. What will their position be if the Americans eventually demand that they reject any connection between the holy mosque in Makkah and its twin in Jerusalem, as outlined in the Noble Qur’an? In the 1980s, these ignominious establishments were prompted by Washington to mobilise Muslim youth to tackle the Soviet occupation of Afghanistan, and we all know what came out of that, not least a certain organisation called Al-Qaeda. Are they awaiting America’s permission to mobilise the youth again, this time against fellow Muslims? It will never happen. The Muslim world is crying out for leaders — political and religious — who are prepared to speak the truth about Israel and expose the pernicious nature of its colonial expansionism. Muslims are in dire need of a leadership that is capable of understanding the rules of political engagement; one which will not adopt blindly such ambiguous and ill-defined terms like extremism and terror simply because Washington tells them to. Moreover, they need a leadership that understands the difference between nation building and neo-colonial rule. A leadership that trusts implicitly and believes in the capabilities of its people. A leadership which understands that befriending Israel and normalizing relations is to consolidate its occupation and condone a massive injustice. Muslims need a religious leadership that can become the conscience and moral compass of their nations, correcting their political leaders when they deviate and lose focus, as they will; they are, after all, human. More than at any other time in recent history, though, they need a leadership that preoccupies itself with substantive and strategic issues instead of relatively minor and peripheral matters such as the length of a woman’s skirt. Without such leaders, there is no doubt that Jerusalem and Al Aqsa Mosque will, at the very least, be consigned to another 50 years of military occupation. In fact, if Israel is allowed to carry on unhindered, the mosque itself is likely to be destroyed and replaced by a temple. Such a catastrophe would be the inevitable consequence when both the religious and political institutions which profess to lead the Muslim world become entangled in corruption. 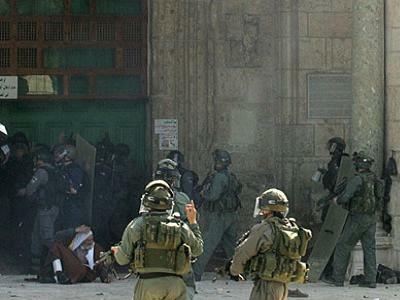 Al-Aqsa has been abandoned by such people. It is a shameful state of affairs. – Dr. Daud Abdullah is the director of Middle East Monitor (MEMO). He is an author and a widely-read commentator. Actually muslim leadership throughout the world have became the puppets of USA. This is not a stereotyping view rather what is noticed practically. However exceptions are always there, to make it convincible by saying that there are rarely few leaders among Muslims who dare to speak truth without caring for the repercussions. That is, what is the need of hour that all Muslims should get into their conscience to make firm strategies to get the Palestinian conflict solved once for all. These strategies can be the outcome of unity among OIC countries. Besides USA can so nothing when Allah will be with us but that too needs strong emaan and taqwa… #long live Palestine…. #Free Masjid al aqsa.